A lower-leg ailment kept James from the gym for two years, but once he made it back, he trained with a vengeance! I started working out in a friend's basement when I was 14-years old. I got more serious about training when I started playing high school sports. I joined the Navy for Spec Ops, so physical training more or less was part of my daily routine. Due to the amount of training, I was diagnosed with compartment syndrome in both calves. I underwent surgery including fasciotomies in both lower legs. After physical therapy and a two year recovery period, I was able to resume physical activity and running. I got back in the gym and had a friend who was preparing for a show and got my attention. He told me it was something I could do. After I relocated to San Diego, I saw posters in the gym and did some research and decided to do my first show. I train each body part individually on a different day of the week. Typically I aim for 3-4 sets with between 8-12 reps. As far as cardio goes, during the off season I only do a 10-minute warm-up before training to get blood flowing. If I'm cutting for a show I do cardio every day. 1 1/2 - 2 gallons of water daily. One cheat meal per week, usually Saturday. I like the challenge and competitive side to always push myself forward. I love seeing how the human body changes, what works, what doesn't. It's always an experiment to see how I can change my physique. It's something that wasn't popular where I grew up so I ventured out for something new and exciting. I look up to the all-time greats of the industry for all their achievements and the legends they've created. Having a great physique and knowing that I'm healthy is really what keeps me going every day. The more results that I see personally, the more motivated I am to push myself even further. Whether it's gaining muscle, losing fat, strength and endurance, in all reality there is no stopping point of what you can achieve. I do understand that some people do it plateaus in their training and diet, but if you change up your program, you can always break through your plateau. July 4th, 2011 Mr. and Mrs. I'm in the process of gaining nutritional and personal training certifications for two reasons: 1) for my own knowledge; and 2) to help others achieve their own fitness goals. I'm also researching colleges now and I plan to be a student, work part time, and continue to train for future competitions. I'm training now but have not specifically picked a show at this time. Once I feel I've made the necessary improvements to my physique and feel like it's time for me to step on stage, I will. 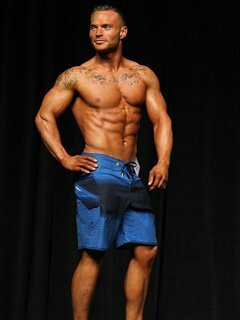 I've done 6 shows within 9 months during my first year of competing. 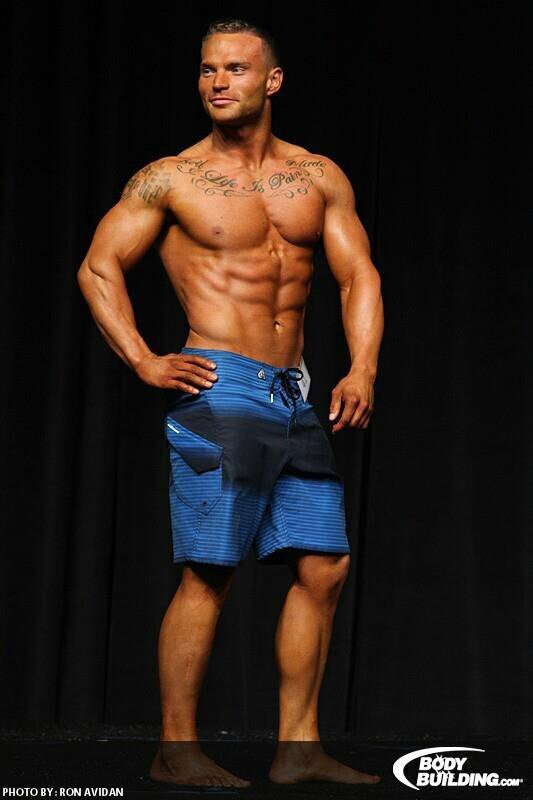 I'm taking the time now to take a step back, build a better physique, and come back better than ever. Stay motivated, stay dedicated, expand on your own knowledge - don't rely on others to do everything for you. When it comes down to it, it's a choice to do this. Make a plan and stick to it! Arnold Schwarzenegger, Jay Cutler, and Branch Warren. The physiques these guys have brought to the table again and again, their conditioning, watching videos of the way they train. I try to follow in their footsteps more or less. All three of them have story, have a lot to share, and there's a lot I've learned from each of them. I have recently started a BodySpace and I'm in the process of learning the ins and outs of using my own page. I used the forums to research and expand my knowledge. I use the store for my supplement needs. The exercise and training links are great for learning form and putting workouts together.